Let the rock hunting begin! The Botanical Garden of the Ozarks is offering a fun and interactive way to earn free admission to the garden this spring. 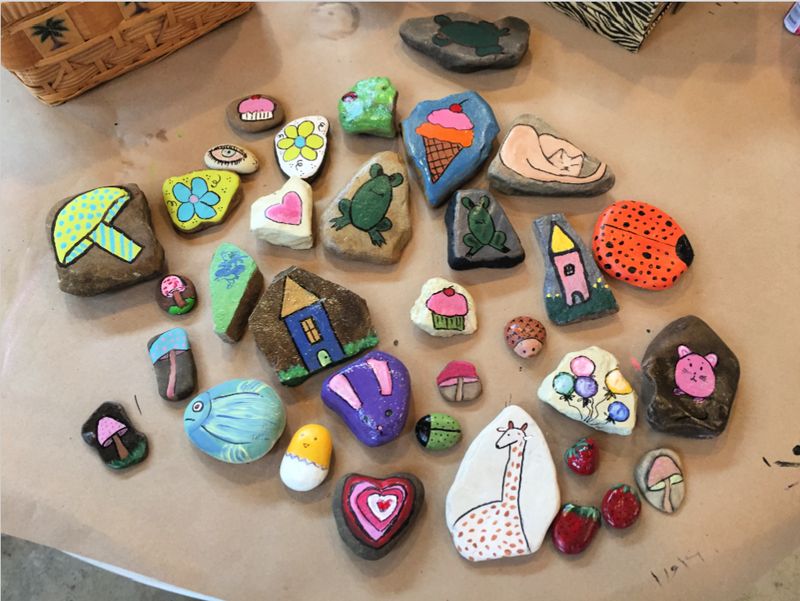 Rocks painted by our volunteers (see attached photo) will be hidden around the Fayetteville Downtown Square area the first weekend in April. Discovering one of these colorful rocks will grant you one free admission to the Botanical Garden! Finders just need to bring the rock to the BGO Visitor’s Center to receive one free general admission. The garden is open seven days a week from 9 am to 5 pm. General admission to the garden is $7 for adults, $4 for children ages 5 – 12 and free for children 4 and under. Keep an eye out this spring for one of these colorful stones and come enjoy the beauty of Northwest Arkansas’ only botanical garden for free!